Revitalize your skin and eliminate wrinkles and pigmentation now with Fraxel laser treatment offered by Nitai Medical & Cosmetic Centre. We are known for our experience and expertise in Fractional laser treatments. Thanks to our wide experience in the field of cosmetology we are able to get a unique perspective regarding the efficacy of new treatments and techniques. We at Nitai Medical and Cosmetic Centre offer the best Fraxel laser treatment in Melbourne. Fractional laser treatment is a suitable procedure involving fractional laser technology for restoring your skin and regaining its lost youthfulness, lustre, and radiance. This procedure helps in getting a fresher, smoother, younger-looking skin, enhanced texture, and tone, erasing and fading of undesirable acne scars, surgical scars, and brown spots. Pores become smaller and wrinkles and fine lines are reduced dramatically. Fraxel Dual laser is effective in reducing the skin’s aging effects caused by environmental factors like sun exposure, pollution, and even smoking. Fraxel laser treatment offered by our clinic in Melbourne could be used effectively for skin rejuvenation, acne scar treatments, melasma, fine lines, wrinkles and skin tightening treatments. Fraxel lasers usually deliver microscopic laser energy columns right into the dermis for creating minute wounds that would be triggering the natural healing process of your body. This provides effective skin treatment with less risk and even less downtime. Fraxel lasers are known to impact two layers of your skin. At first, it affects the epidermis and then the dermis. The dermis comprises a network of primary structural proteins and also the fibrous glycoprotein of diverse connective tissues, these proteins help in keeping your skin firm and youthful. With age due to the excessive exposure to the sun, these proteins are known to break down much faster as compared to the time required for rebuilding them. As such your skin would be demonstrating aging signs. The Fraxel dual lasers would be penetrating your skin’s dermis that would surely be stimulating and triggering the natural healing response of your body. The healthy tissues gradually start invading the area treated by the laser thus, facilitating quick effective healing. The healthy tissue would carry on growing and multiplying. In this context, you must understand the damaged tissue is eventually pushed up toward the epidermal layer and finally, out of the skin. The Fraxel laser treatments at a time would be precisely targeting only a fraction of your skin facilitating your body to experience a super-quick healing. Fraxel lasers are effective over a broader spectrum of skin types when compared to the usual non-fractional lasers. Fresher, smoother, more vibrant and younger-looking skin. Drastically improved texture and tone. Erasing all spots and patches. Reducing the wrinkles and fine lines around eyes and mouth. Improving the overall appearance of scars from surgery and acne. 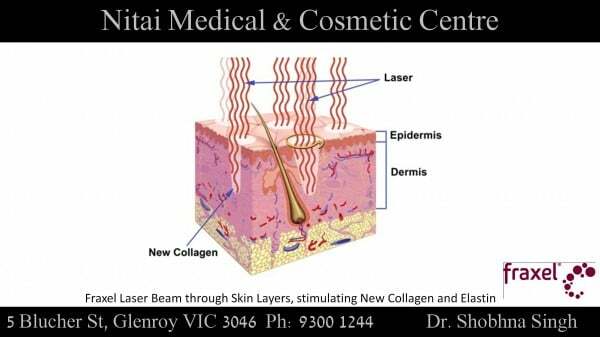 Nitai Medical & Cosmetic Centre takes immense pride in offering you the best Fraxel laser treatment in Melbourne. We boast of cutting edge equipment and state-of-the-art facilities for effective treatment of surgical scars, acne scars, diverse skin pigmentation scars, wrinkles and fine lines. We have doctors who would be evaluating your skin’s suitability and need for Fraxel laser treatments. Once it is decided that you are an ideal candidate for Fraxel lasers, the doctors would be choosing a Fraxel wavelength that best serves your purpose. We offer a host of lasers so that you could opt for the laser that best suits your unique requirements. Clinics that have a limited stock or variety of lasers may be overtly extending the use of a single laser for covering up their needs. Obviously, this may not be the most suitable laser for your skin concern. 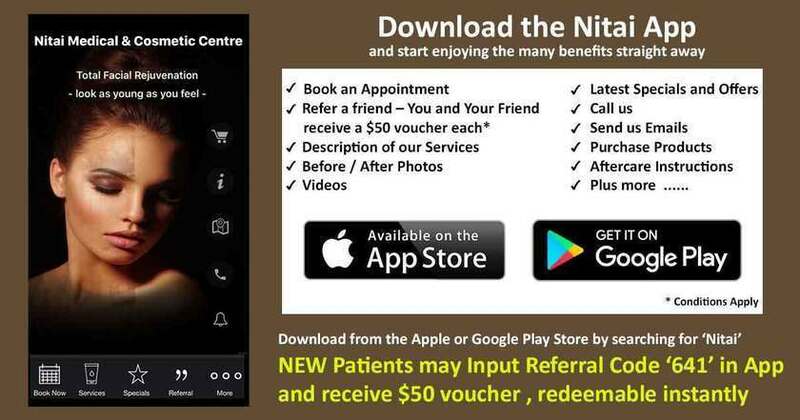 We at Nitai Medical & Cosmetic Centre, not only provide expertise, knowledge, and highest levels of patient care & service, we make sure that all our treatments are affordable and real value for money. Our chief focus is on high-quality services and patient safety. We respect patient privacy and we believe in maintaining total transparency with our patients regarding the efficacy of treatments and the outcomes possible. How Many Treatment Sessions Would Be Required? For achieving optimum results, it is often required to opt for a number of treatment sessions as per the advice of your concerned doctor. Most people would be requiring three to five treatments for gaining best results. All treatments would be customized as per patient needs. Multiple treatments are required simply because laser functions in a truly pixelated manner. This means that when your entire face is being treated, only about 30 percent of your facial skin would be having the heat columns. This is done to make sure that there would be a short healing time usually, two to three days. If 100 percent of your skin was supposed to be treated, it would be taking weeks to heal and you would be really uncomfortable. Treatments could be performed at one, two or three month’s intervals at Nitai Medical & Cosmetic Centre. Results are progressive and immediate with optimal enhancement usually noticed only after three months post completion of the treatments concerned. You may have to come back to us at every one, two or three monthly breaks. Does the Process Involve Pain? Fraxel is one of the most advanced Non-Ablative Fractional Laser Resurfacing procedures, having been the subject of several medical studies. It is not painful at all and most patients report experiencing only heat and maybe a light sting. Half an hour before the treatment, the area is treated with a strong local anaesthetic, and you can always ask the clinic to alter the settings of the treatment to best suit your comfort threshold. It can also be slowed down or paused midway if you are experiencing discomfort. Further, cold air is blown on the surface being treated to eradicate the risk of inflammation and to make you feel comfortable. Will the Downtime Involve Me Taking Time Off Work? Fraxel laser treatments have much lesser downtime compared to other laser treatments. The downtime usually never exceeds a couple of days, so you could get back to your day-to-day activities at the earliest. There are next to no side-effects, other than dryness of the skin, minimal swelling or some pinprick-like marks but these too would disappear the morning after the treatment. Call us today to schedule an initial appointment! Our clinicians would be assessing your clinical history and requirements. They would then recommend an appropriate Fraxel laser treatment in Melbourne for achieving optimal results. The case study is about a teenager suffering from severe acne breakout and acne scarring issues. In this particular case, acne has been successfully treated with effective microdermabrasion in conjunction with cautiously chosen relevant skincare products to match and complement the patient’s skin. Once the acne issue was under control, acne scarring was effectively treated with an apt Fraxel laser. 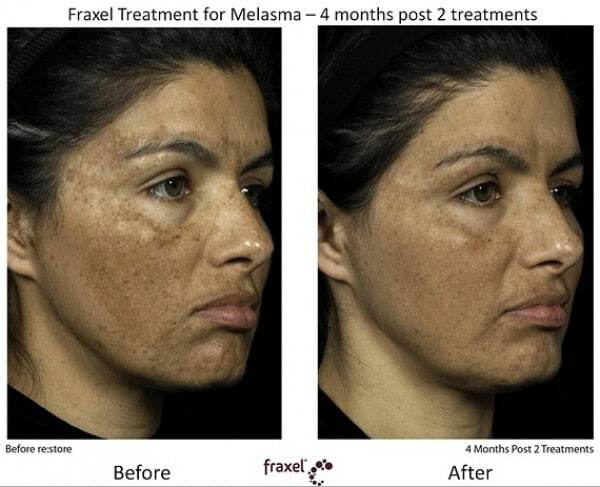 This young girl has undergone three Fraxel laser treatments one month apart. The After Photo has been taken about three months post the Fraxel laser treatment at Nitai Medical & Cosmetic Centre in Melbourne. You can clearly see a remarkable improvement and a drastic reduction in her acne scarring.